One of my favorite colors is blue and I just love bling - so I was super excited to see the theme for this weeks Eureka Challenge - BLUE & BLING. I chose to make a card (that has already been sent off in the mail and received I'm sure) for the New Year. I used digi35602 - Another Year. Now don't forget that at Eureka Stamps you can not only get the images in digi form - but also in rubber form too! How cool is that? I wanted to do a "New Years" theme because I love the idea of New Years - a fresh start, new beginning, a time to reflect on the past and also set goals for the coming year. I did set a few goals for myself this year. Did you? 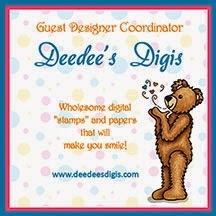 I hope you come on over to Eureka Stamps and join us this week. Remember that you can't win if you don't submit a card. Thank you so much for stopping by today. God bless you!!! I was just looking at a monochromatic challenge, then came to your blog. I needed the inspiration! Love the blue and the bling! Zella, I love your blue card! Very striking! What a great verse Zella..love it..and love your blues and bling..Happy New Year. What a lovely sentiment/word art. I really like pretty blue colour scheme too. Thank you for joining us at Glitter n Sparkle for our Anything Goes challenge. Best of luck in the draw! Fab card, I love the sentiment. Thank you for joining in the fun with Crafty Boots Challenges. Such wisdom on a pretty blue card. Thank you for sharing this marvelous card with us here at Word Art Wednesday. Lovely card with a pretty sentiment. Thanks for playing in Bugaboo's Anything Goes Challenge. I love the blues, this is beautiful! I saw this off of MIM! Love the metallic paper you chose! It's always nice to see a card with the sentiment as the focal point :) Beautifully done! What a gorgeous "blue and bling" card!! Beautifully created Zella, love the gorgeous blues and bling!! Thank you so much for sharing with us at Love to Create Challenge!! Lovely way of framing that beautiful saying! Love the blues & bling! Thank you for sharing your Blue w/Bling Winter project with us at Love to Create Challenges.